Rep. Nancy Pelosi renews pledge to resurrect climate crisis select committee. Before she’s even taken an oath of office, Rep.-elect Alexandria Ocasio-Cortez joined protesters at Nancy Pelosi’s office and led a sit-in to protest climate change. 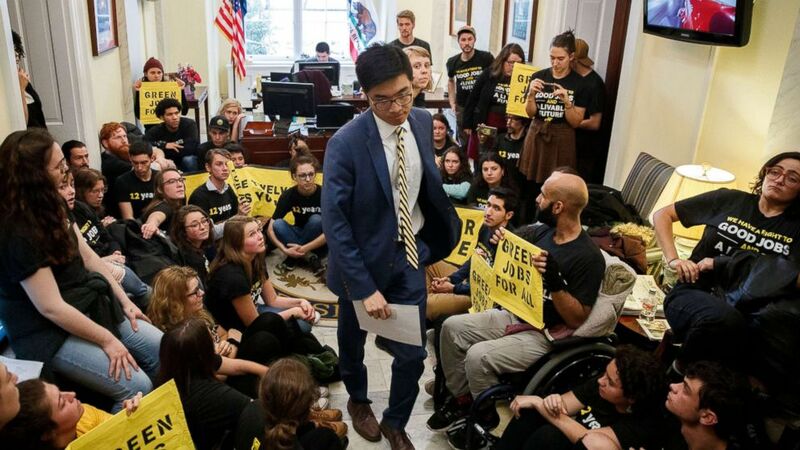 Activists stormed the lobby of Pelosi’s congressional office in the Cannon House Office Building Tuesday, with hundreds more protesters lining the hallway. 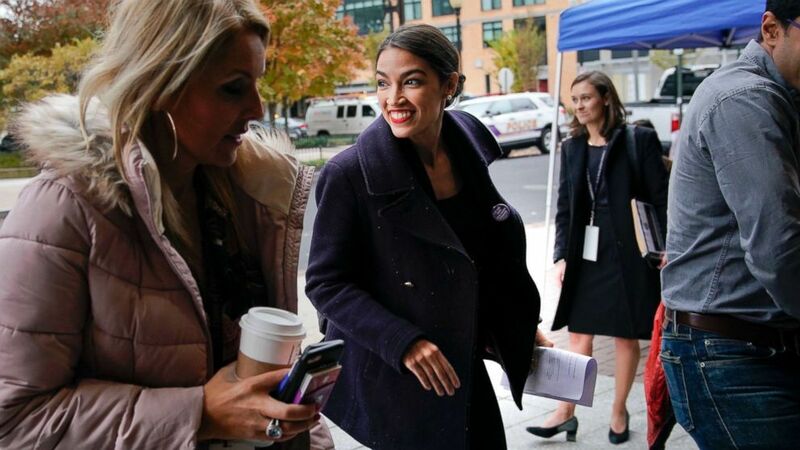 (Pablo Martinez Monsivais/AP) Rep.-elect Alexandria Ocasio-Cortez, D-NY., arrives for orientation for new members of Congress, Nov. 13, 2018, in Washington D.C. Protesters inside the lobby of Pelosi’s office voluntarily left and moved a short distance into the hallway after about 45 minutes. They sat on the hallway floor and sang in unison. It then took another 45 minutes for police officers to close the hallways leading to Pelosi’s office and push the crowd back away from the California Democrat’s office. Fifty-one people were arrested and charged with unlawfully demonstrating in the House office building, according to U.S. Capitol Police. Ocasio-Cortez spoke in support of the activists and left before any arrests were made. She will be the youngest woman to take office in the history of the House of Representatives in January and shocked the Democratic Party when she defeated Rep. Joe Crowley in a New York primary earlier this year. (Shawn Thew/EPA via Shutterstock) Activists from Sunrise Movement and Justice Democrats sit outside House Minority Leader Nancy Pelosi's office on Capitol Hill in Washington, Nov. 13, 2018. The protesters are demanding that Pelosi, if elected Speaker of the House, create a new select committee on climate change. Pelosi, who is facing a test of her leadership as she builds support in her bid for House speaker, responded to the protesters by acknowledging “the energy and activism,” and she restated her plans to convene a select committee on climate change.